There are very few temples erected exclusively to Brahma in India and abroad. There are myths that explain this strange neglect. They vary but it is generally seen that a god or goddess got angry with Brahma. He cursed Brahma. Shiva’s devotees believe in such specific myth. Following is the story. Long time ago, the two gods of the Hindu triad — Brahma and Vishnu — began an argument on who the most powerful of the triad was. This argument became so heated that these gods asked Shiva, the third of the triad, to intervene. Shiva assumed the form of a gigantic lingam (the phallic symbol of Shiva that depicts him as a creator). 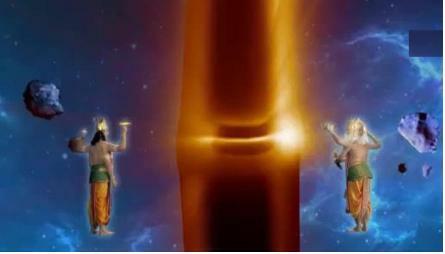 The lingam was of flaming fire and it went up to the heavens and descended into the nether regions underneath the earth. Both Brahma and Vishnu determined that if they could find how enormous the fiery lingam was, they could establish who among the triad was the most powerful. Brahma took the form of a swan and went upwards along the length of the ascending lingam while Vishnu assumed the form of a boar and descended along the lingam into the nether regions. Both went on searching but neither could reach the end. Vishnu, being wise, realized that he had been outdone by Shiva and came back to acknowledge Shiva as the greatest of the triad. 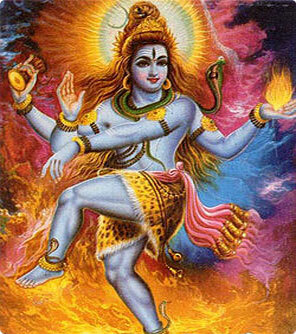 Although, Brahma decided that he could get past Shiva with trickery. On his ascent to determine the end of the upper part of the lingam, Brahma had passed the ketaki flower (Pandanus odorifer). Brahma requested ketaki, who was used to inhabit the upper end regions of the lingam, to testify before Shiva that he, Brahma, had reached the uppermost end. Ketaki agreed and, when brought before Shiva, the flower told Shiva that he had observed Brahma reach the upper end of the lingam. Shiva was angered at this lie. He cursed Brahma that he will not be worshipped on earth while he also cursed the flower with the depressing eternal condition of never ever being used in any Hindu worshipping rituals. Who is the wife of Bharadwaja Maharshi?